a scholarship to Sarah Morgan. 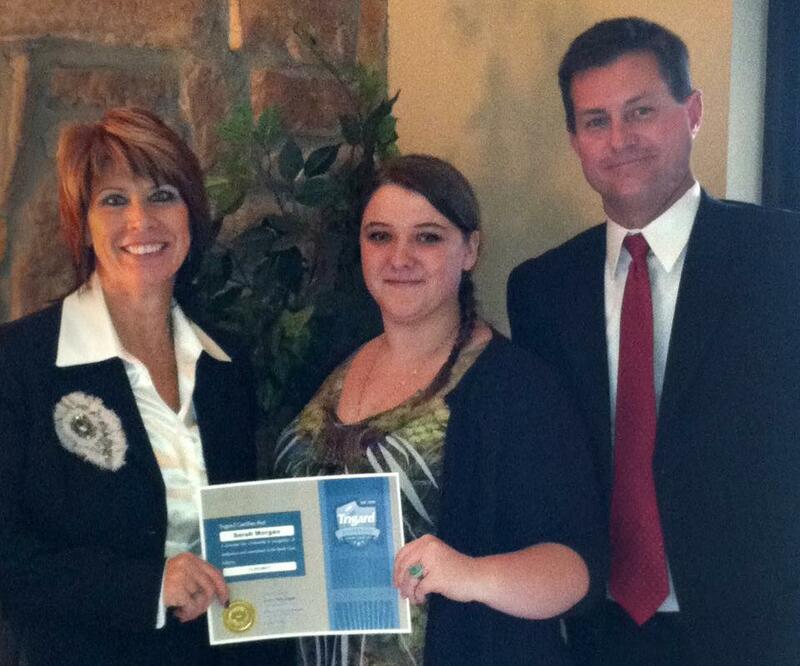 This month, Trigard presented two $250 scholarships to promising young funeral professionals. 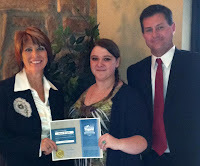 The first scholarship went to Sarah Morgan, a junior at Mid-America College of Funeral Service in Jeffersonville, Indiana. 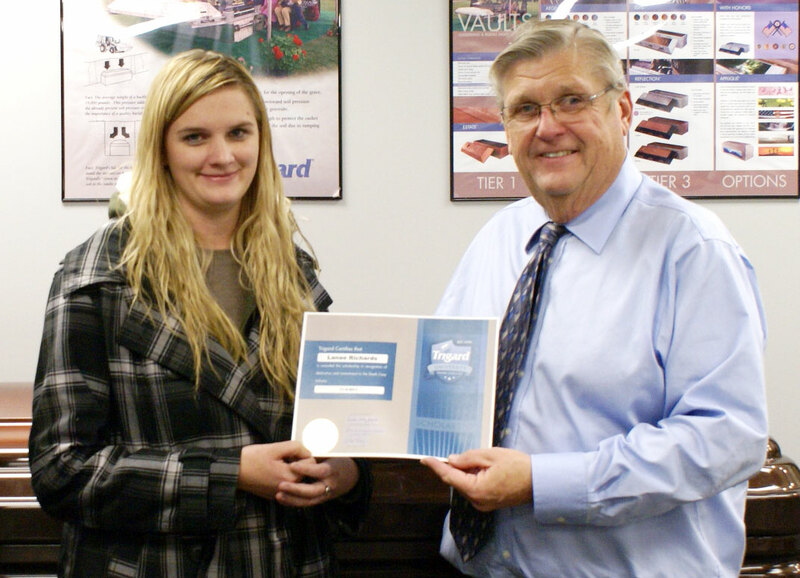 The second was awarded to Lanae Richards, a mortuary science student at Des Moines Area Community College in Ankeny, Iowa. We at Trigard see these scholarships as a continued investment in the next generation of funeral directors who will care for families across the country. Lowell Coburn, a Watts Vault and Monument sales consultant, awards a scholarship to Lanae Richards on behalf of Trigard.